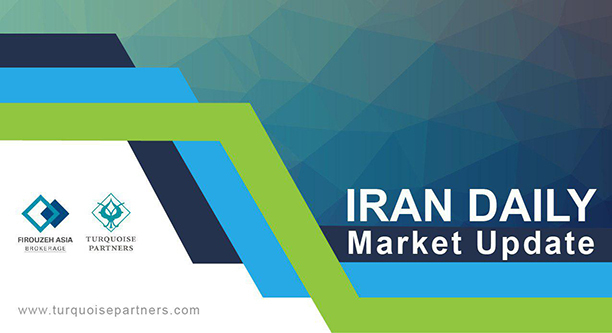 The Tehran Stock Exchange All-Share Index finished the day up 0.72% at 169,115. 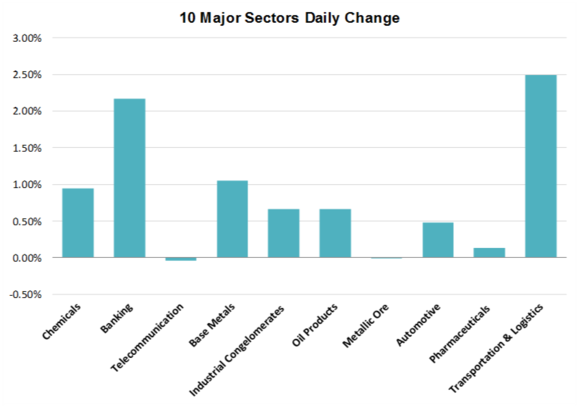 Transportation & Logistics (+2.49%) saw the highest increase among sectors, while the biggest faller of the day was Sugar (-1.57%). Chemicals (+0.94%) was the market volume leader with trades totaling IRR 1,329 billion (approx. USD 31 million). Esfahan Mobarakeh Steel Co. (FOLD +1.94%), Mellat Bank (BMLT +4.80%) and Tamin Petroleum & Petrochem. Ind. Co. (TAPP +3.60%) were the main movers of the All-Share Index. Novin Investment Bank (TNOV +120%) was the most traded stock with IRR 1,610 billion (approx. USD 38 million) of shares exchanged. The total traded value of the market reached IRR 10,329 billion (approx. 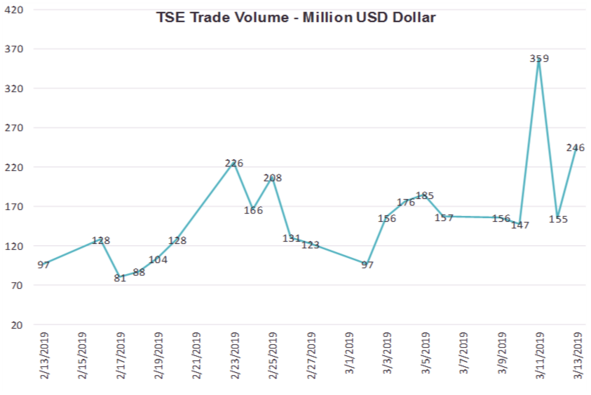 USD 246 million), up 58% from the previous trading session. The TSE30 index of the 30 largest companies by market capitalization closed at 8,517 for a gain of 1.04%. The biggest riser was Mellat Bank (BMLT +4.80%) while Pars Petrochemical Co. (PARS -1.09%) dropped the most. Total traded value of the top 30 stocks reached IRR 2,675 billion (approx. USD 63 million), up 39% from the previous trading session. Tamin Petroleum & Petrochem. Ind. Co.
Industry & Mine Investment Co.